Flat polyester fabric wristbands are the newest event wristbands on the market. 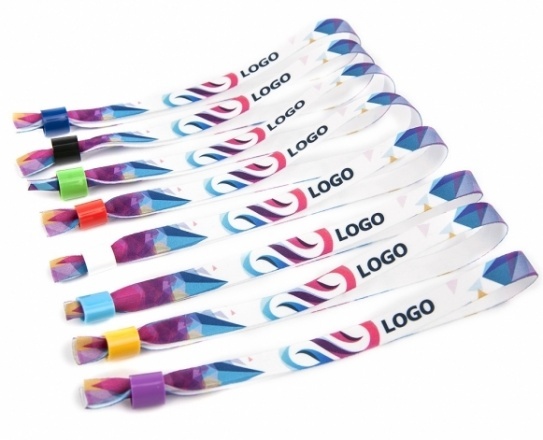 Branded with full colour dye sublimation print and variety of locking sliders colours these wristbands are great for festivals, concerts, sporting events and venues. Our standard lead-time is 7-10 working days from order and it's free.